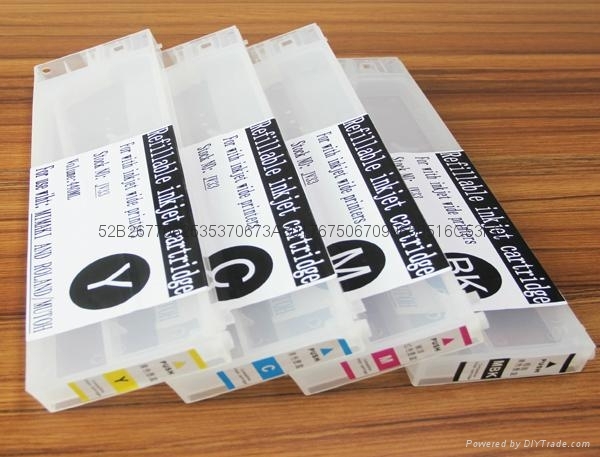 2.Material: with PE aluminum foil bag inside, PP cartridge. 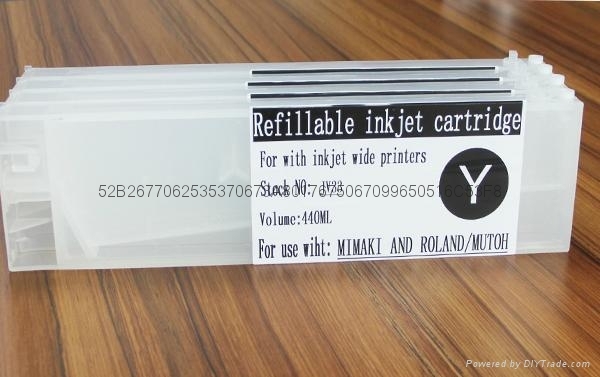 4. ink type: dye ink, pigment ink and sublimation ink available. High quality: Import facility from abroad, aluminum bag inside, ultrasonic welding, anti-corrosion, can fill with Eco-solvent ink. Environmental conservation: Through HSF test, environmental protection. 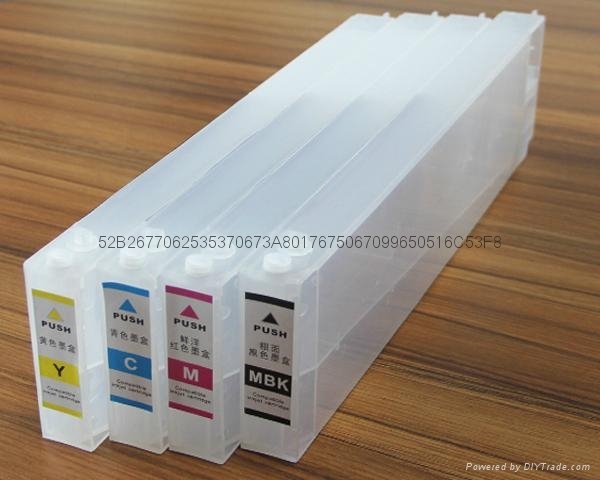 Low cost: refillable transparent cartridge, can be used repeatedly, also environmentally friendly offer eco-solvent ink, compare with original cartridge, save printing cost a lot. 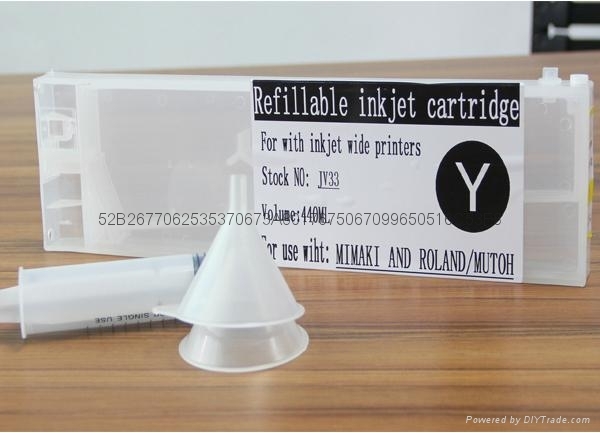 Convenience: Have special funnel, after remove air at same time when you fill in the inks, just need to fill in inks when the ink is out. Stability: injection molding, not leaking air, not leaking ink, not changing shape. 1.We guarantee high quality and all the goods well packaged before shipping out. 2.We will make up you with same quantity products if any damage during the transportation for your next order.